Hermione woke up and opened her eyes slowly. She was in a cold and dark place, it felt like a dungeon. She breathed heavily and her eyes tried to get used to the darkness.
" H-hello...?" She stuttered. " Anyone there?" She heard someone move a few meters away from her. " Hello!" She said more clear this time.
" Hermione...?" She regonized the voice...but she couldn&apos;t be 100 per cent sure. " Is that you...Paravti?" " Hermione, you have to get out of here" Paravti said with a weak voice. " Well I can&apos;t bareley move...my body aches" " It&apos;s a horrible spell...I don&apos;t know what it is though"
" What is going on here? What is this place?" She could hear Paravti sighed. Like it hurted to talk about it.
" They take you, uses you, and makes you drink something disgusting. And after a few minutes, you can feel yourself dying. Slowly...but you&apos;re dying"
Hermione had wide eyes open and couldn&apos;t believe what the other girl was saying. She wasn&apos;t dying now was she?
" Why are they doing this to us?" Hermione said.
" They want to get rid of Dumbledore&apos;s Army for good. Including the leader. They&apos;ve taken so many already, Cho, Katie, Hannah, me, you..."
" ...Ginny. Oh no, where is Ginny?!" " Maybe in another cell. I don&apos;t know..."
Hermione then dared to ask Paravti if she was dying.
" Yes. I am "
The gang was in Pansy&apos;s house and waited for Draco being done with some &apos; research&apos; that he called it.
" What is that ferret doing?" Ron whispered to Harry. " 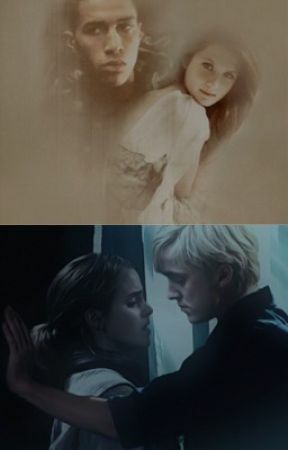 Trying to save yours and my sister "
The next second Draco walked into the living room and breathed out. " Okay, I&apos;ve done some research. And I think I know how to find them, but it won&apos;t be easy. Maybe for you gryffindors but not for us Slytherin people"
" Excuse me, bro?" Blaise said.
" To get there, we have to cross a garden that is filled of dementors. And when we get inside through one of the back doors, there will be boggarts everywhere"
" And you know this because...?" Ron said and frowned.
" I know which one who took them and I know where they are. They were my family&apos;s friends. But after Harry defeated poor Voldy..." He took a pause and stole a glance from Harry.
" My parents broke the contact with them for good. And I&apos;m glad they did"
" So we should just grab out stuff and we&apos;ll be off?" Harry wondered.
" Yes, hurry" Everyone ran and took their wand and Draco silently prayed it wouldn&apos;t be too late.
" Stay alive, darling. I&apos;m on my way"